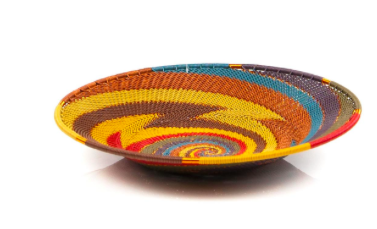 Traditional Zulu work and it is made from coils of telephone wire wrapped around a solid metal core, to define its shape. It has a modern twist to its make with the infusion of bright colour patterns. 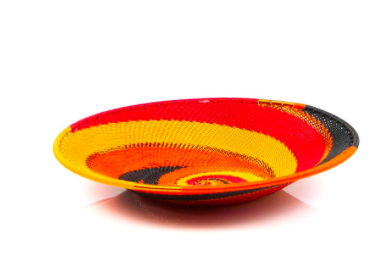 The intricacy in the design makes this basket so precious due to the long production days involved in its design. No two pieces are the same. Designs may vary, making each individual piece that much more unique.